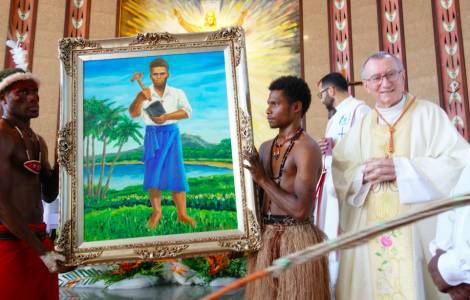 Church appeal: "Manus refugees await freedom"
Port Moresby (Agenzia Fides) - The meetings of the Bishops of the Federation of Catholic Bishops Conferences of Oceania (FCBCO), focused on the encyclical of Pope Francis "Laudato sì" (see Fides 12/4/2018) continues. The agenda continues with a session on seabed mining. Among the main speakers, Professor Kaluwin Chalapan of the Faculty of Natural Sciences and Physics of the University of Papua New Guinea, gave the Bishops an overview on the challenges in ocean and coastal governance and in achieving a sustainable development policy. 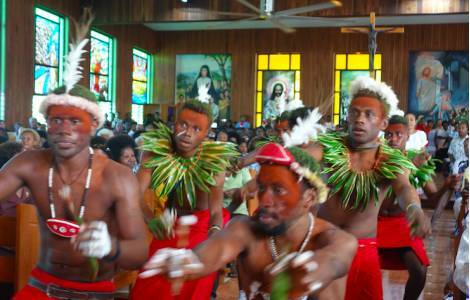 In a note of the bishops sent to Fides, the professor said that "the problem of sea level is one of the greatest challenges in Oceania. Why exploit the ocean when we have resources on earth? ", asked the expert. Chalapan highlighted many challenges faced throughout PNG and Oceania, as well as highlighting the importance of land ownership, policies and development activities for the sea. The Solwara Warriors, an opposition movement formed by the local populations, were present at the session and focused on the issue of seabed mines and what they are doing as a group. The group shared the reason why the exploitation of the seabed must be stopped and provided data on the Solwara 1 project. They also said that no one: scientists, Nautilus and the government, know the environmental impact that this exploitation will have and insisted that there is no disaster management plan and the ability to deal with the disaster.